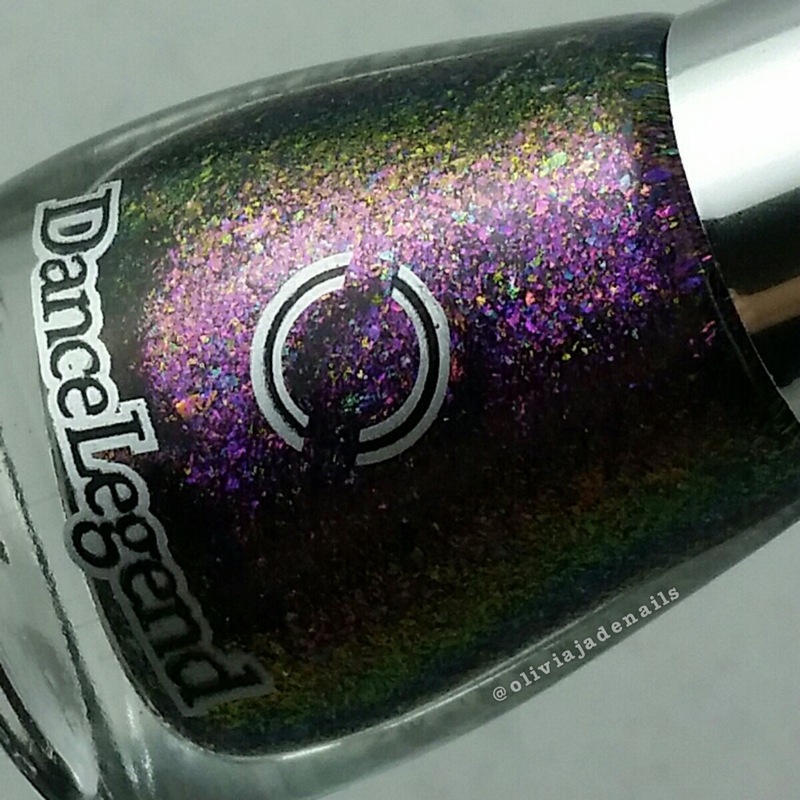 Today I have the last of the Dance Legend polishes that I was sent a couple of weeks back to share with you. This post is going to be quite a mix of polishes as I only have a couple of polishes from different collections. 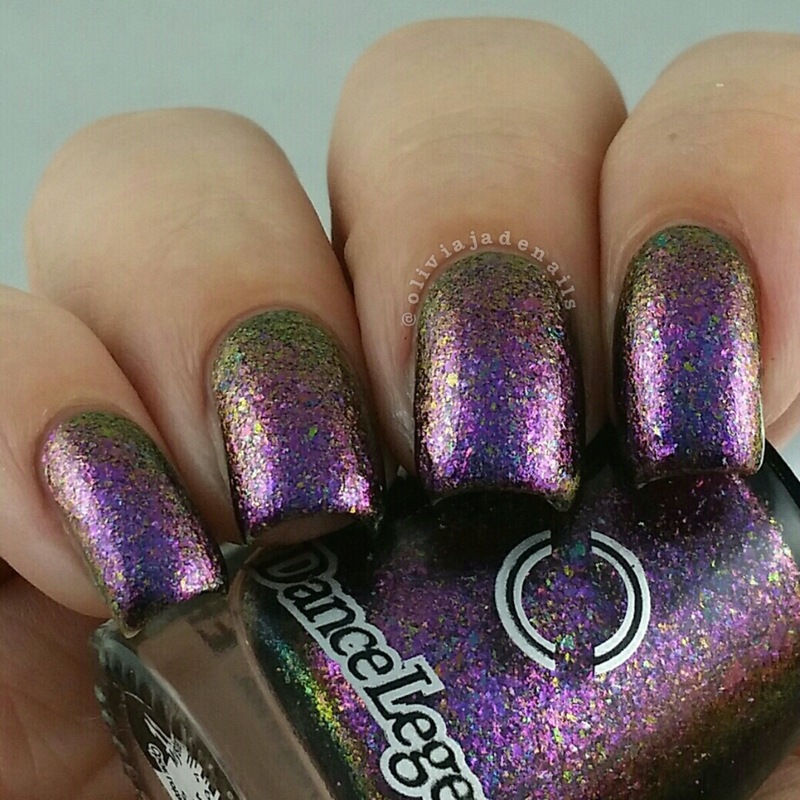 I have also included some swatches of some other Dance Legend polishes that I for some reason haven't shared on my blog before. 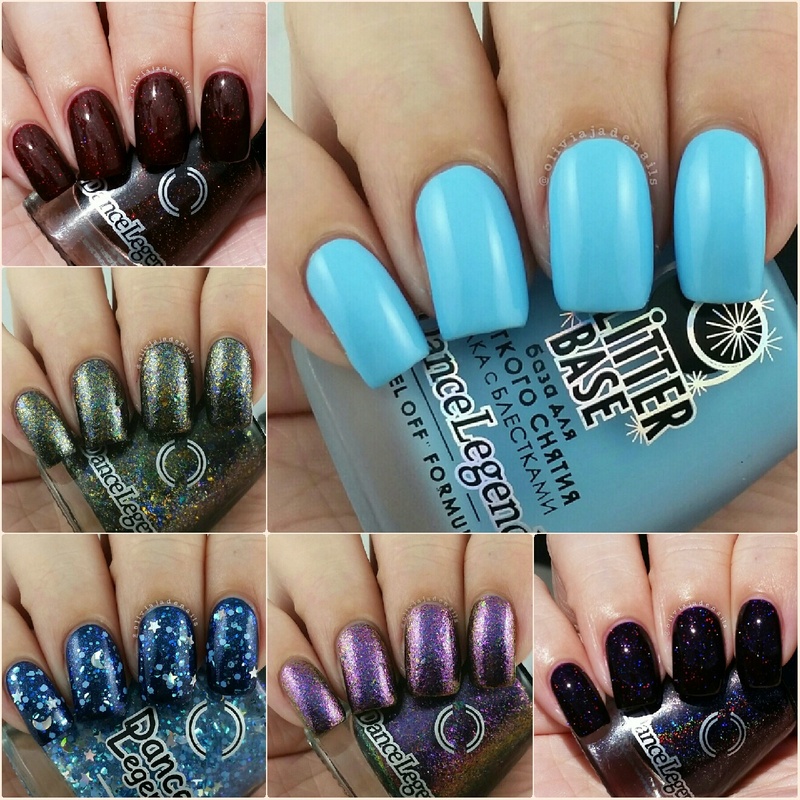 There is eight polishes in total in this post so it is going to be a little picture heavy. 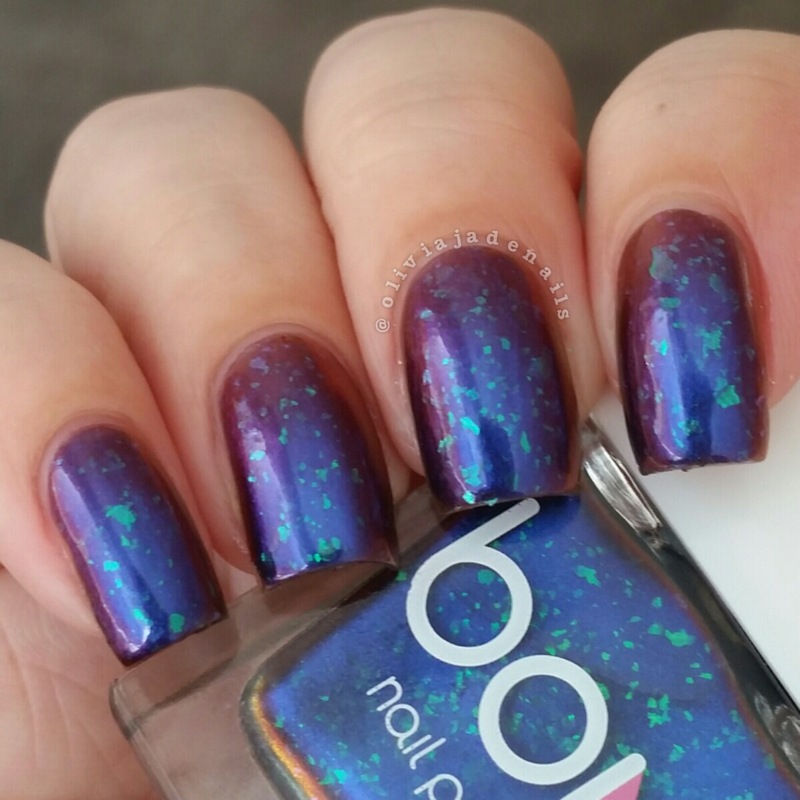 Sulley is an amazing multichrome which shifts from a greenish blue, to crimson/purple to gold. Pictures really just don't do this polish justice. I seriously love this polish and need more from this collection that's for sure. The formula is easy to use. 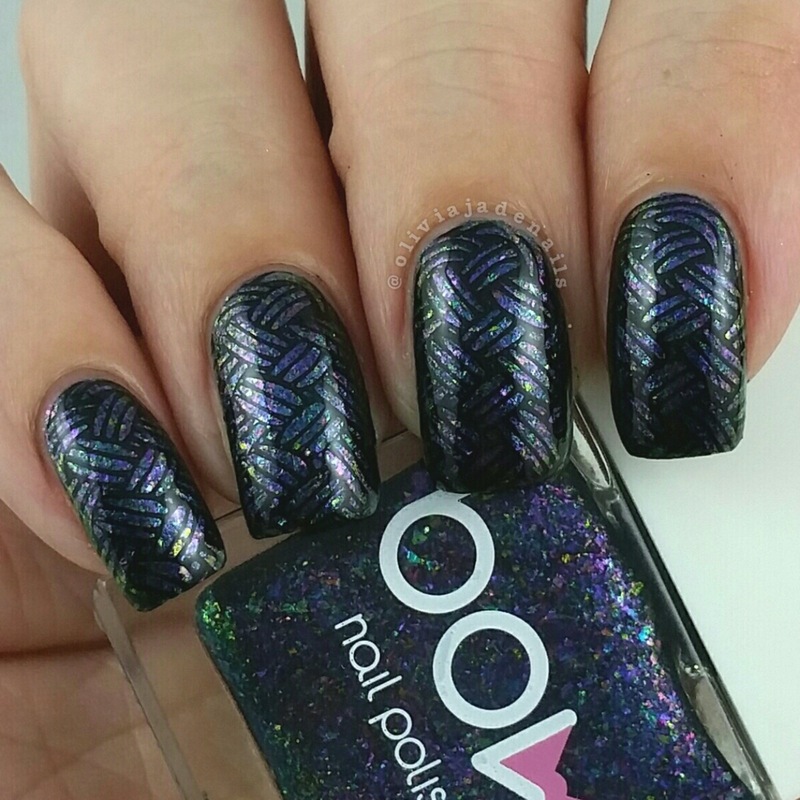 I used two coats over black, although I am sure this polish can be worn alone but it may take three to four coats to be opaque. 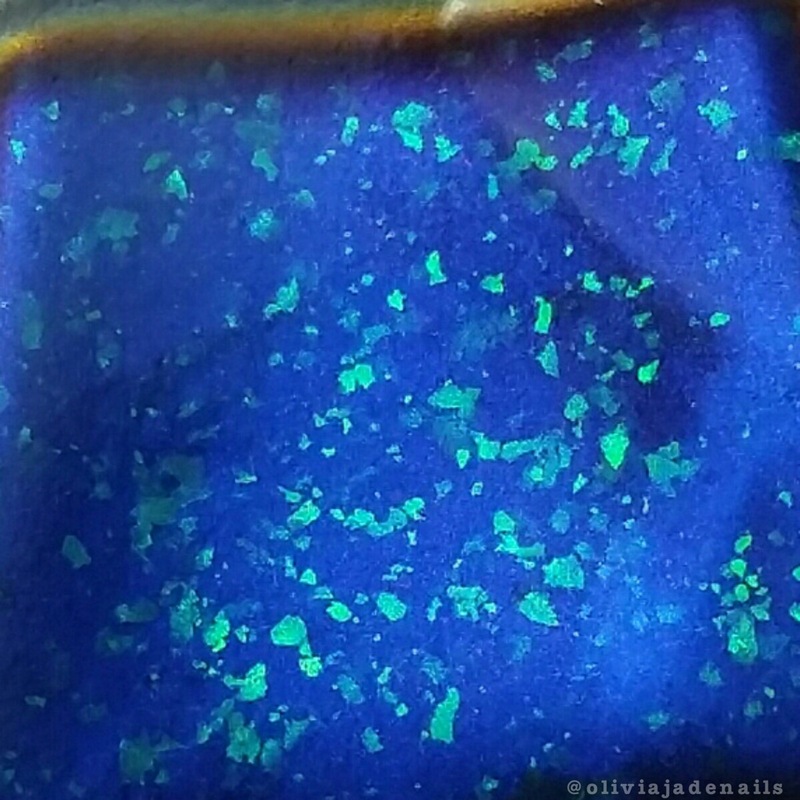 Blue Glitter Base is a blue peel off base. 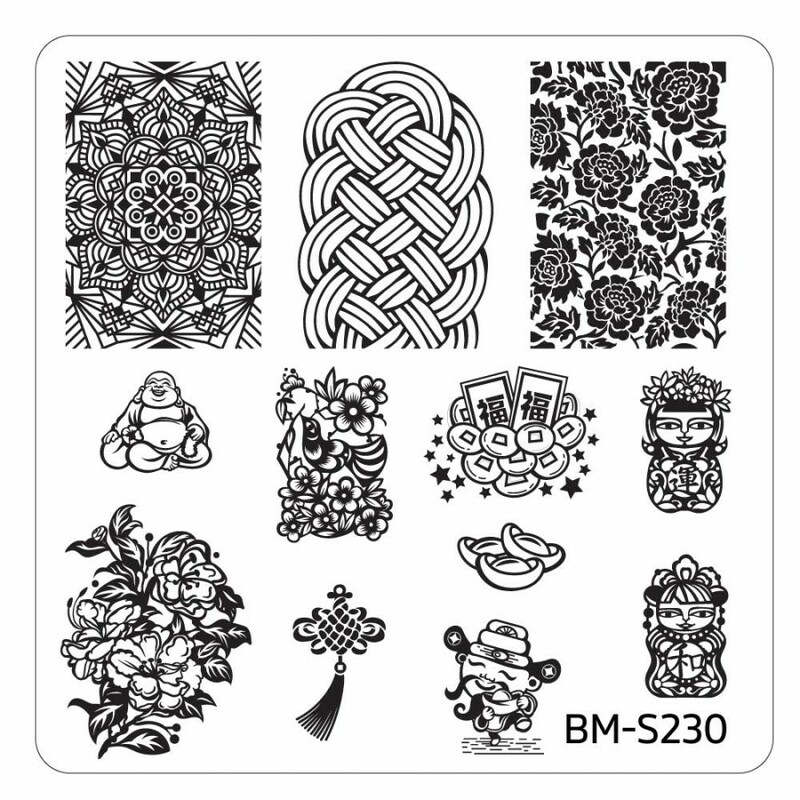 I love the idea of these. You simply apply to a naked nail (no base coat is required) and then once it has dried you add your glitter polish over. 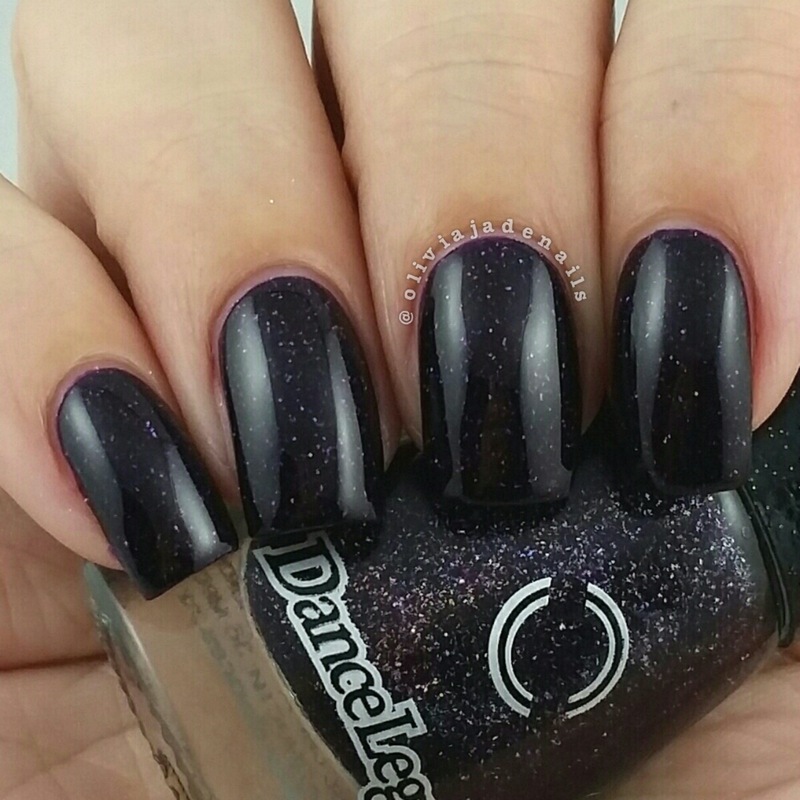 When you have finished wearing that mani you can simply peel away the polishes. Yes it is that simple, and yes it works! My swatch shows two coats with a top coat. 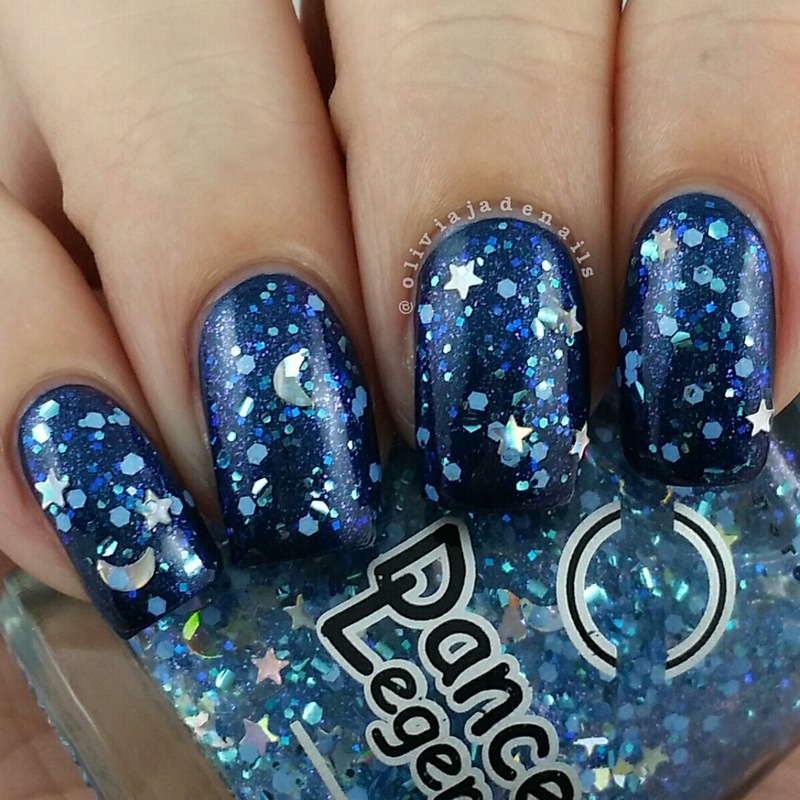 Sailor Moon is a glitter top filled with different sized blue glitters, purple shimmer and holographic stars and moons. 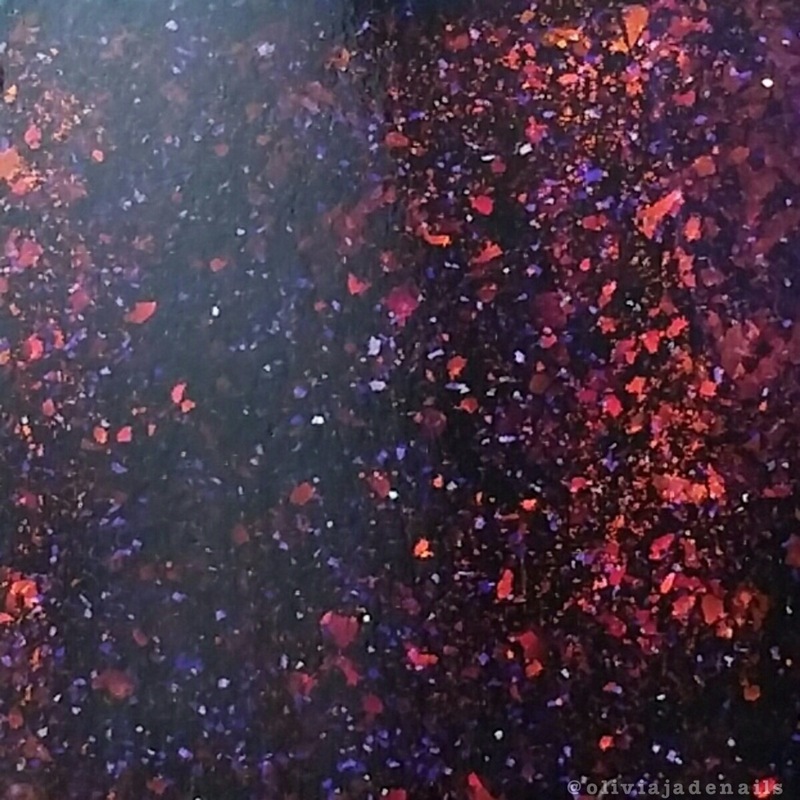 Personally, I love this glitter better without the stars and moons, but it is still pretty with them. The formula is easy to work with and no fishing is required for the large glitters. My swatch shows one coat over the Blue Glitter Base. 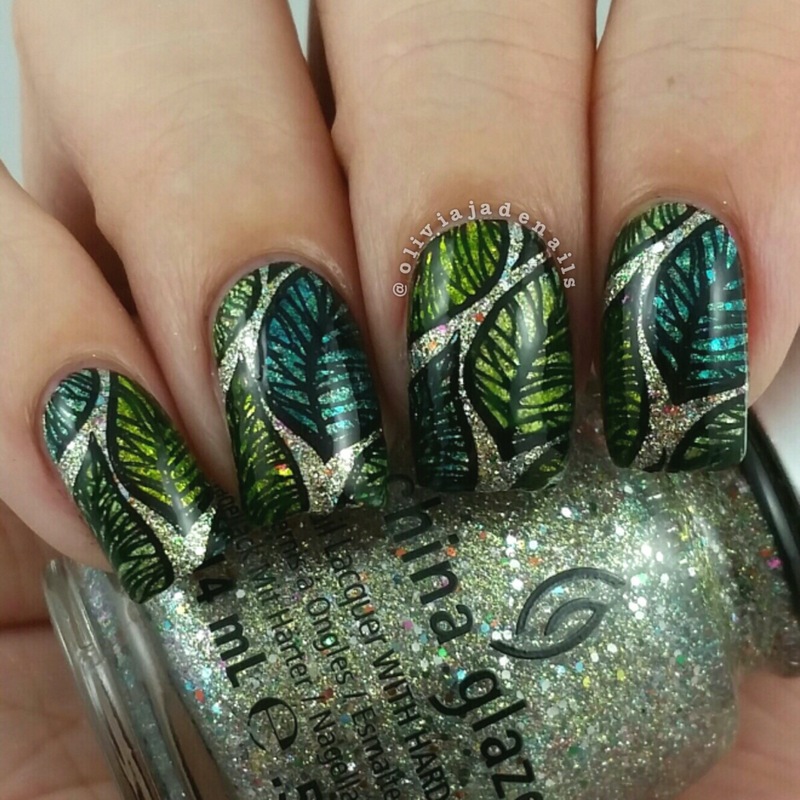 Now personally, I just don't think the glitter topper looks that good over the light base colour. The shimmer doesn't really show up and the blue glitters look hidden. I tried it one coat over Essie Bell-Bottom Blues and simply love how these two look together. 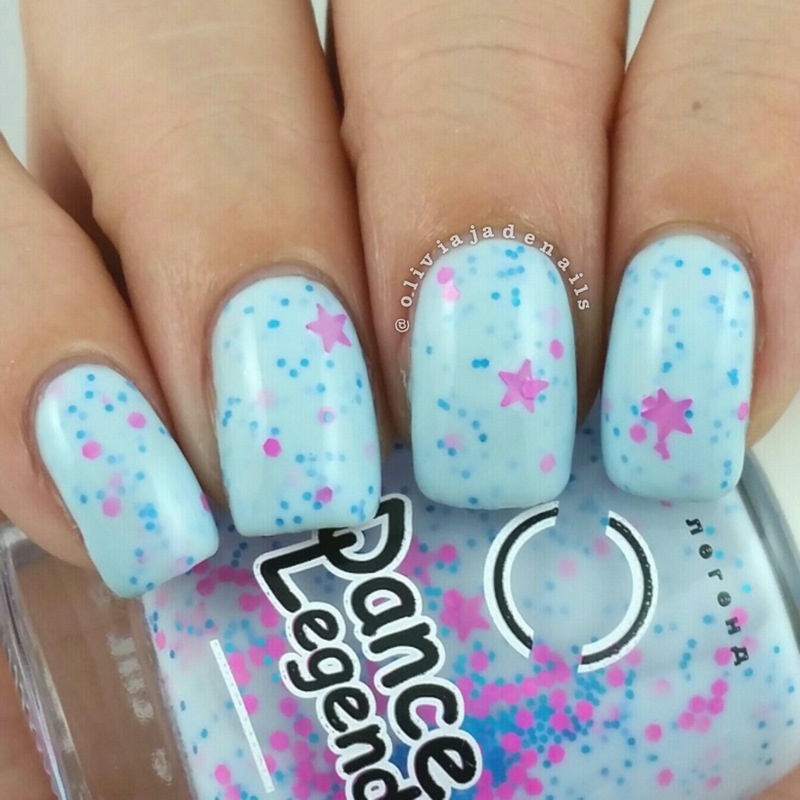 Wave Winner is a pale blue crelly with pink stars and hexes and small blue hexes. This really has an indie polish feel about it. I love it! The formula is easy to work with. My swatch shows three coat. 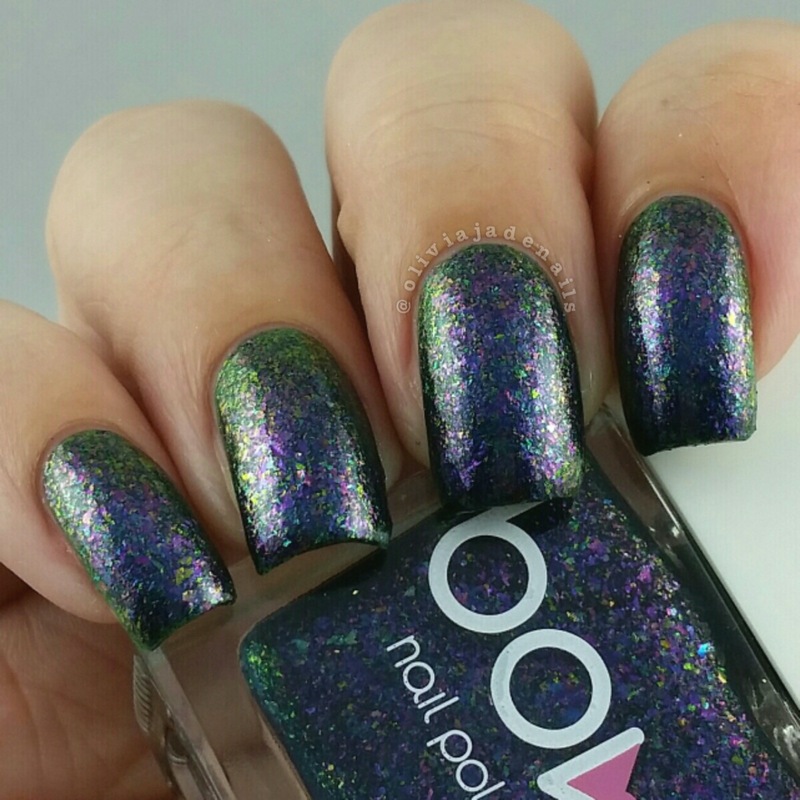 11 Supernatural is a multichrome flakie, that looks predominately purple and shifts to blue, green and gold. The colour shifts are definitely more noticeable in person that in pictures. The formula was easy to work, but this one is quite slow drying. My swatch shows three coats. 12 Essence has a slightly tinted based and is filled with multi coloured flakes in gold, bronze, red, purple, green, blue and grey flakes. It's quite pretty and unique. 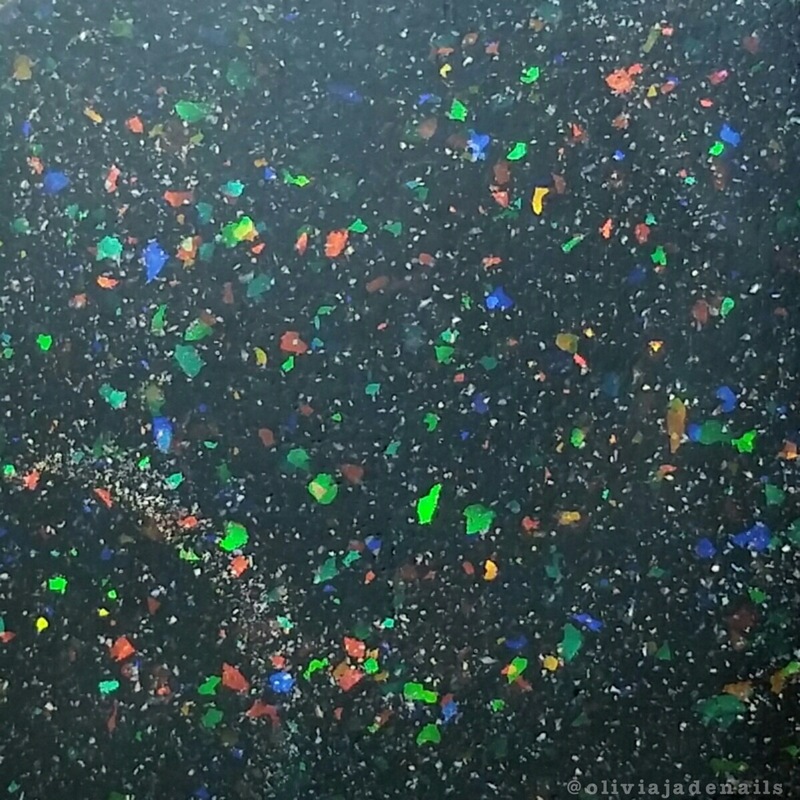 The flakes in this one appeared to be more sparse than Supernatural so I did two coats over black for my swatch. 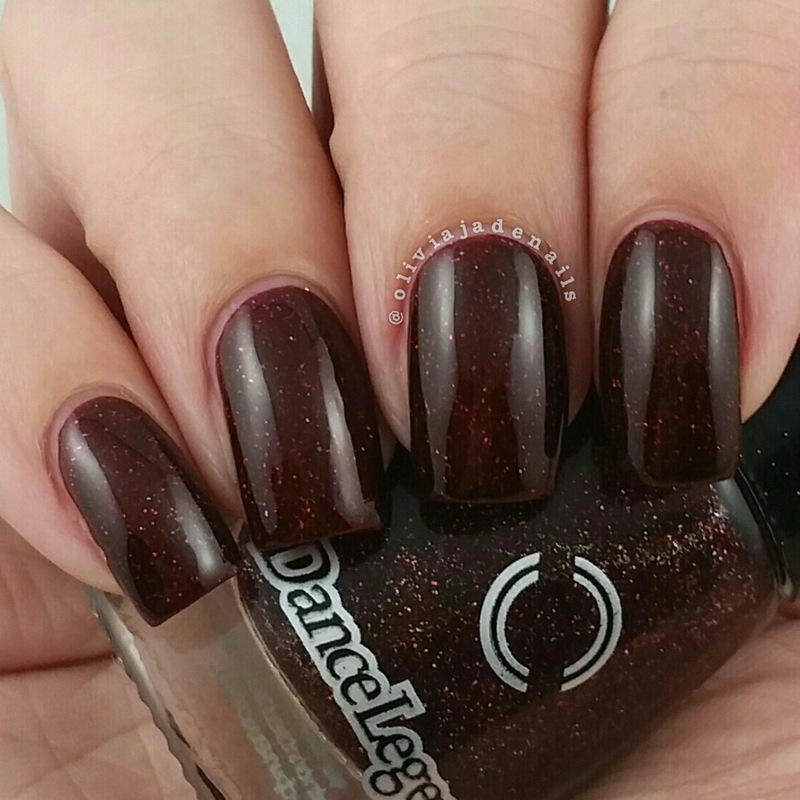 2 Royal Blood is a maroon (with a hint of brown) tinted base and scattered holo glitters. The formula is easy to use. I used two coats for my swatch, however next time I would use three as you can still see a visible nail line after two coats. 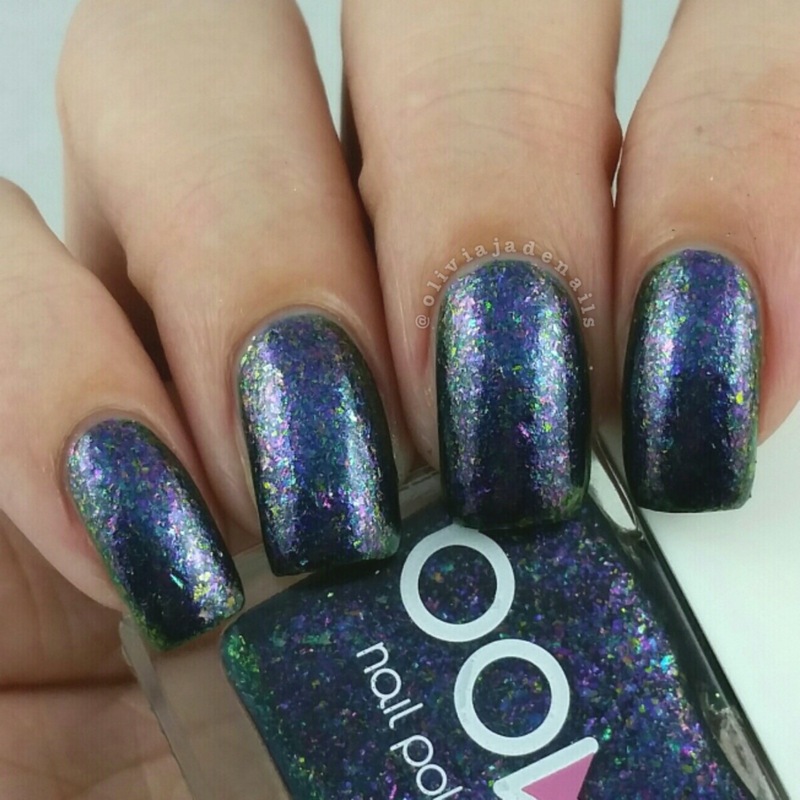 5 Gravity Falls is a dark purple jelly with scattered holo glitters. Such a pretty colour. Again, the formula is easy to use. My swatch shows three coats. 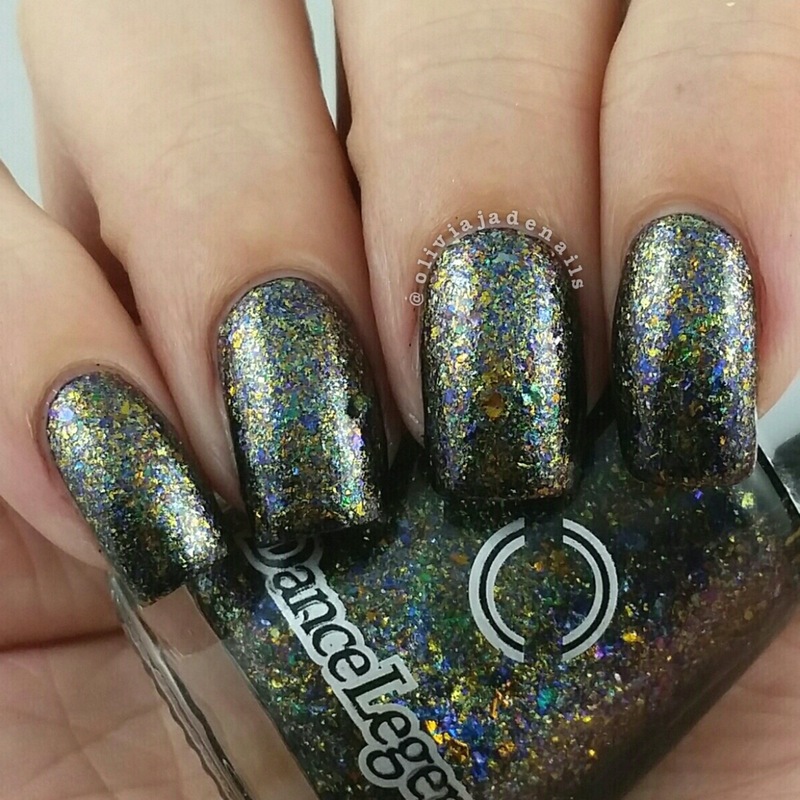 As you can probably see from this post there is a huge range of polishes that Dance Legend offer. While it can be a little overwhelming looking at the site, you can definitely find something for everyone on there. 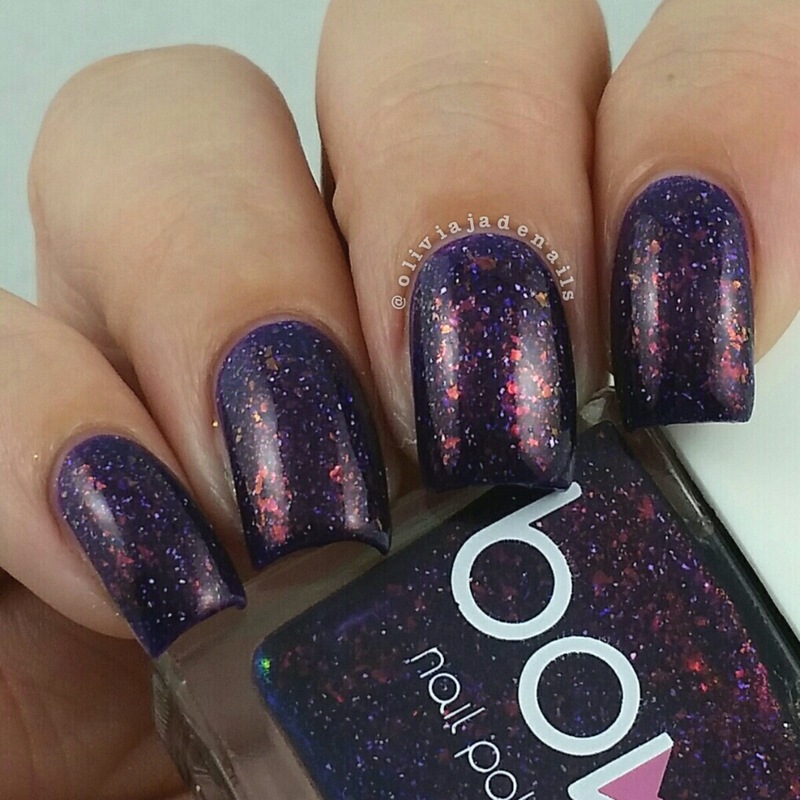 My personal favorites from the polishes in this post are Sulley, Wave Winner, 11 Supernatural and 12 Essence. 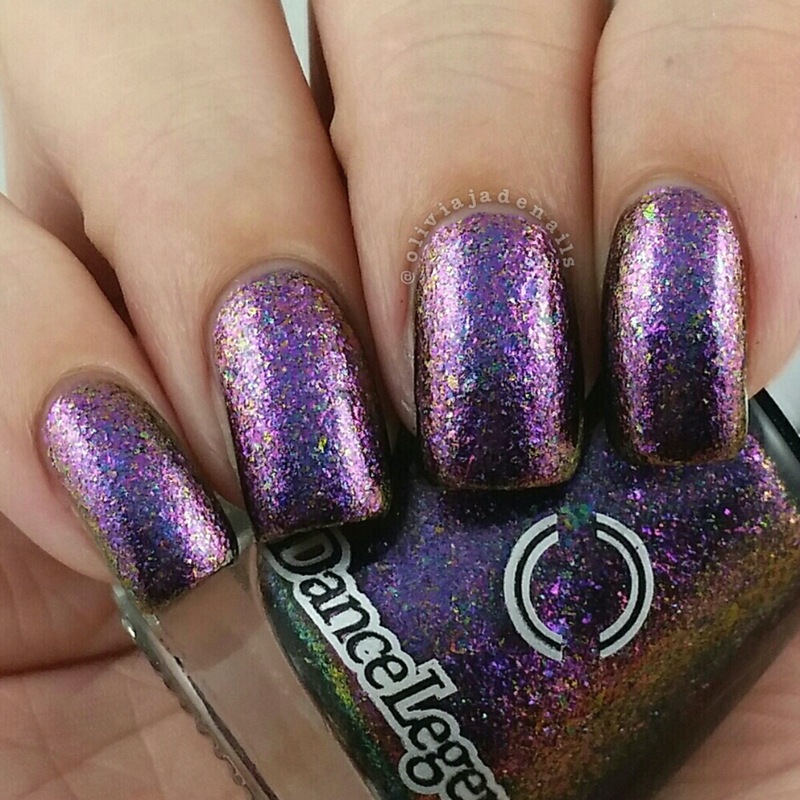 All Dance Legend polishes shown in this post (and many, many others) are available from Dance Legend. They also offer international shipping. 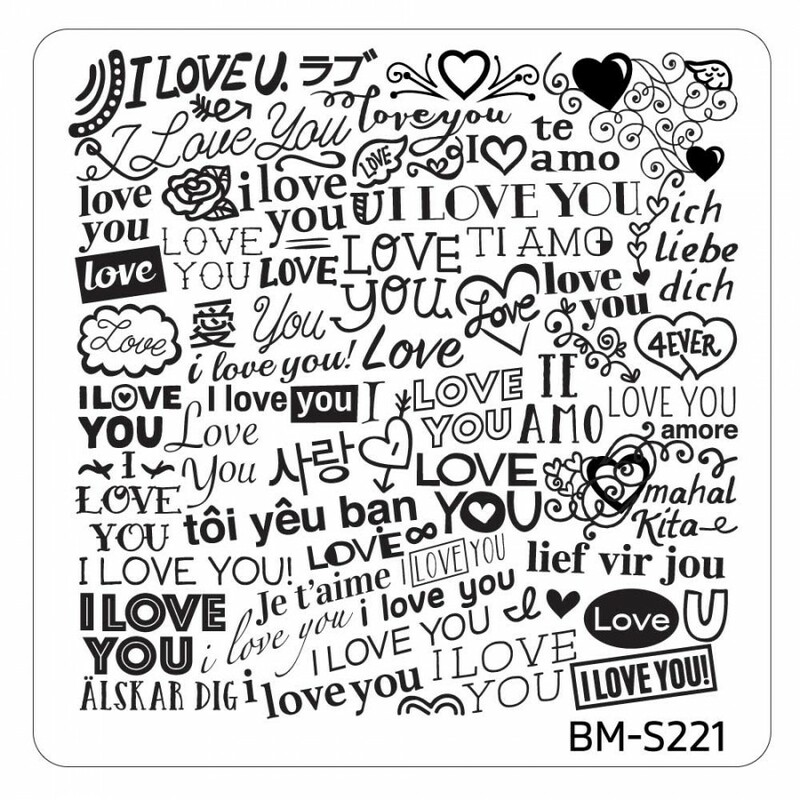 Barry M is one of those brands that you see and hear about everywhere. 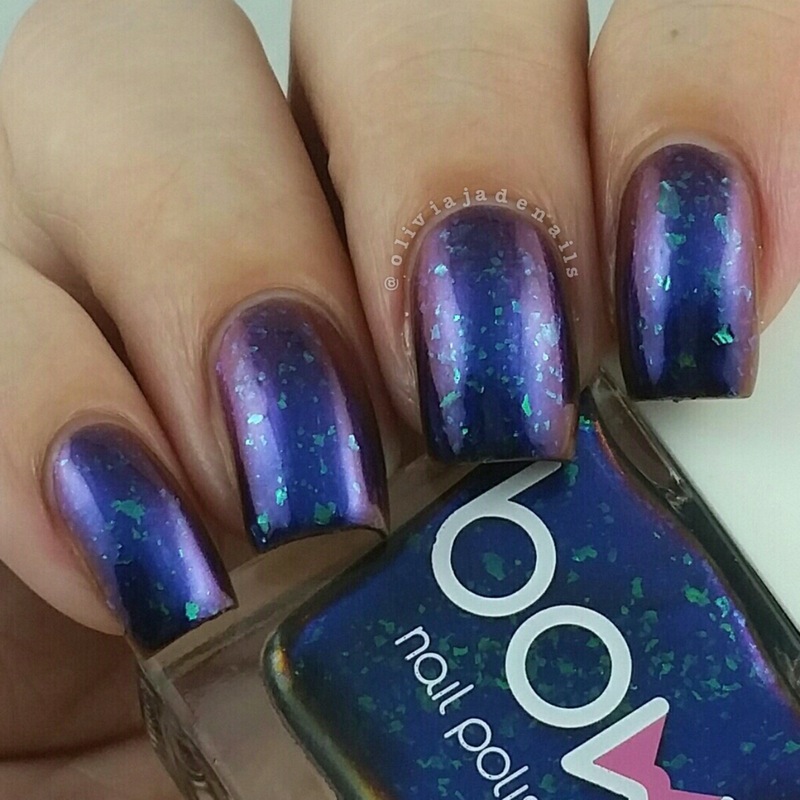 I have been eyeing off so many of their polishes for years and I finally managed to get my hands on some. Barry M is now available in Big W stores in Australia and I am so happy. My local Big W didn't stock Barry M for ages but now have a full display of make up and polishes. Yay! 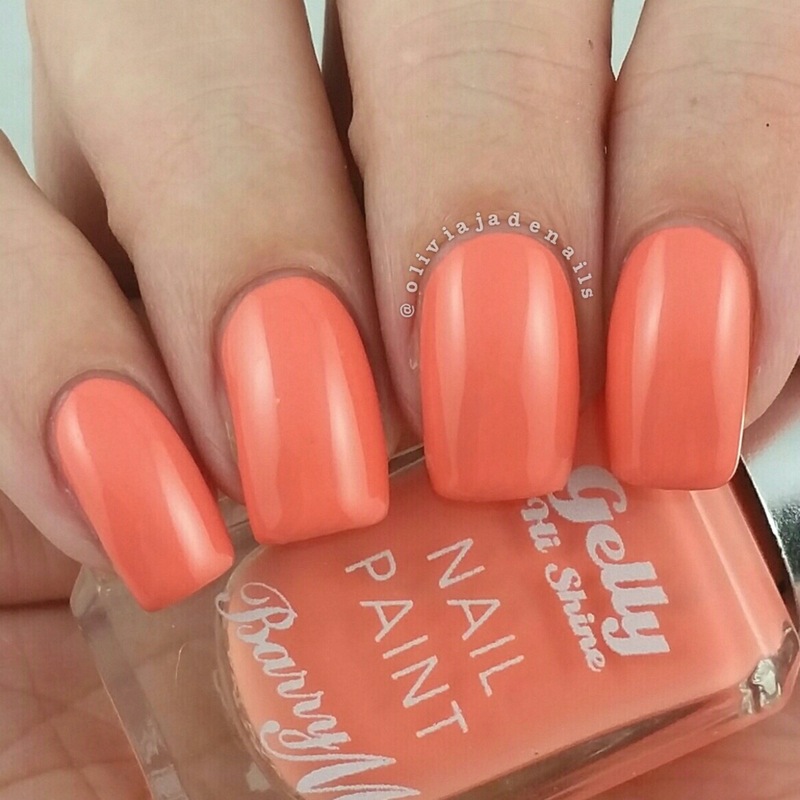 After struggling with which polishes to grab, I decided on six Gelly's which I will share with you today. Blueberry is a cornflower blue creme. 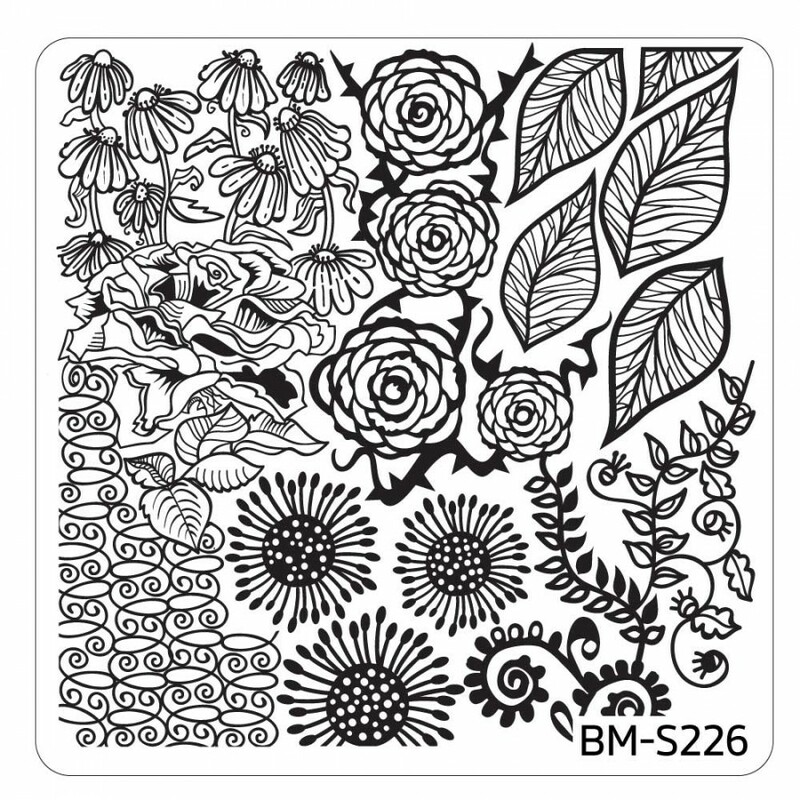 Stunning colour and easy to use. My swatch shows two coats. Greenberry is an aqua green creme. 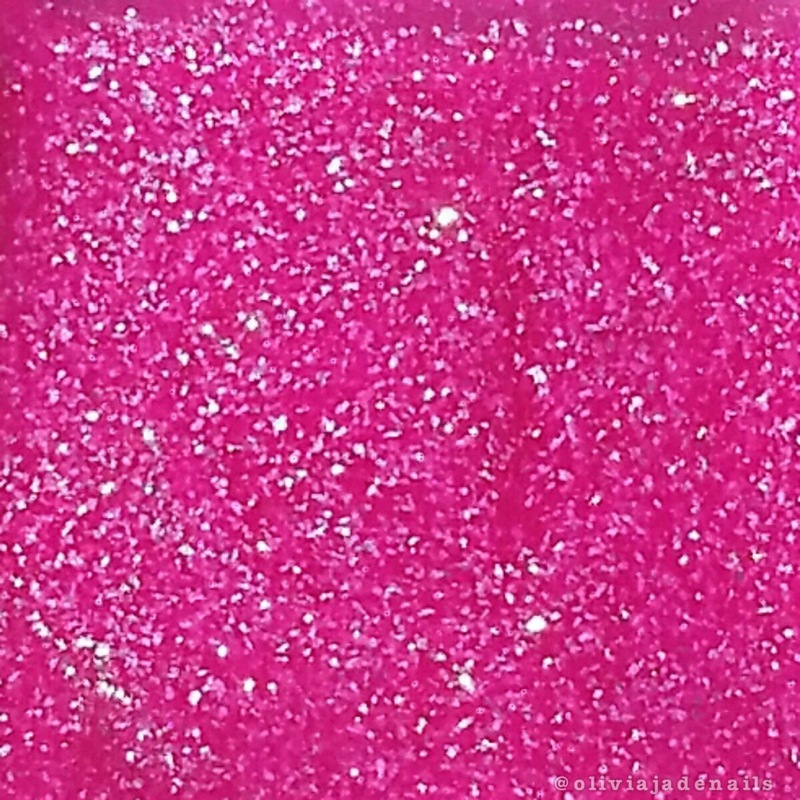 Again the formula is easy to use and it is such a pretty colour. I used two coats for my swatch. Papaya is an orange creme. I really like the colour in the bottle but I am not sure that I like it so much on me. I found that this one applied a little streaky on the first coat but evened out on the second. I recommend using minimal brush strokes with this one. My swatch shows two coats. Pink Punch is a pink creme. Great formula and stamps quite well. That is definitely a huge bonus for me. My swatch shows two coats. 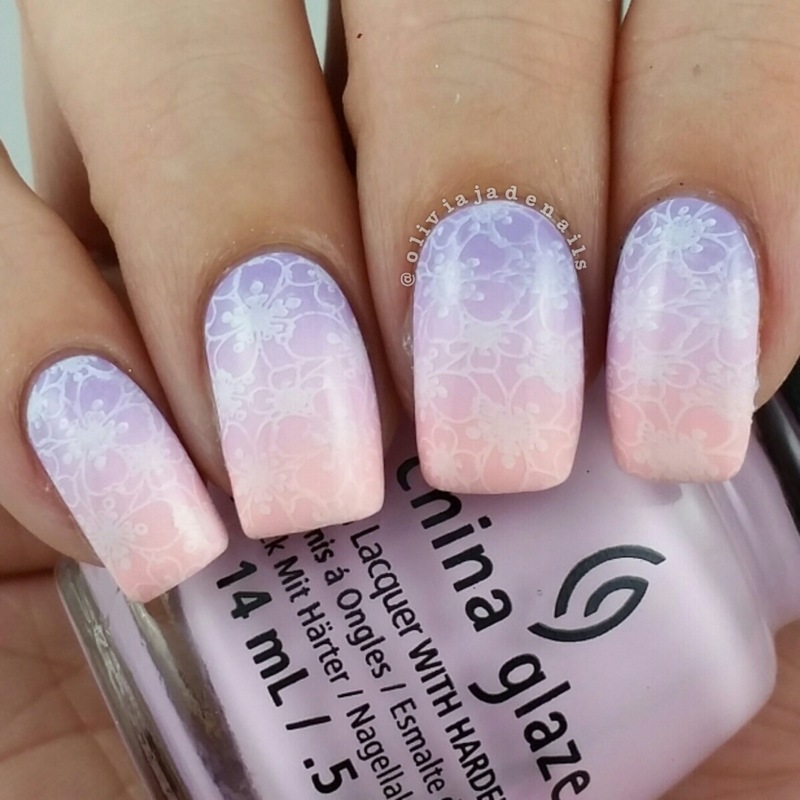 Prickly Pear is a pale lilac creme. This one is the sheerest of the one that I have tried. I used two coats for my swatch, but I think I should have added a third. The formula was easy to work with. Sugar Plum is an orchid creme. 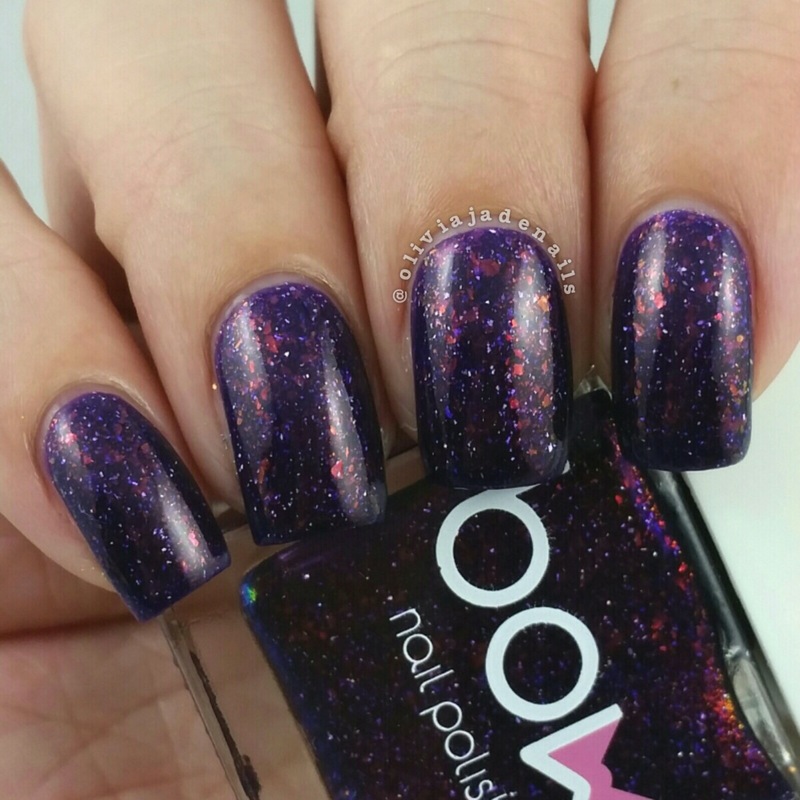 Stunning colour and has the best formula of the ones I have tried. 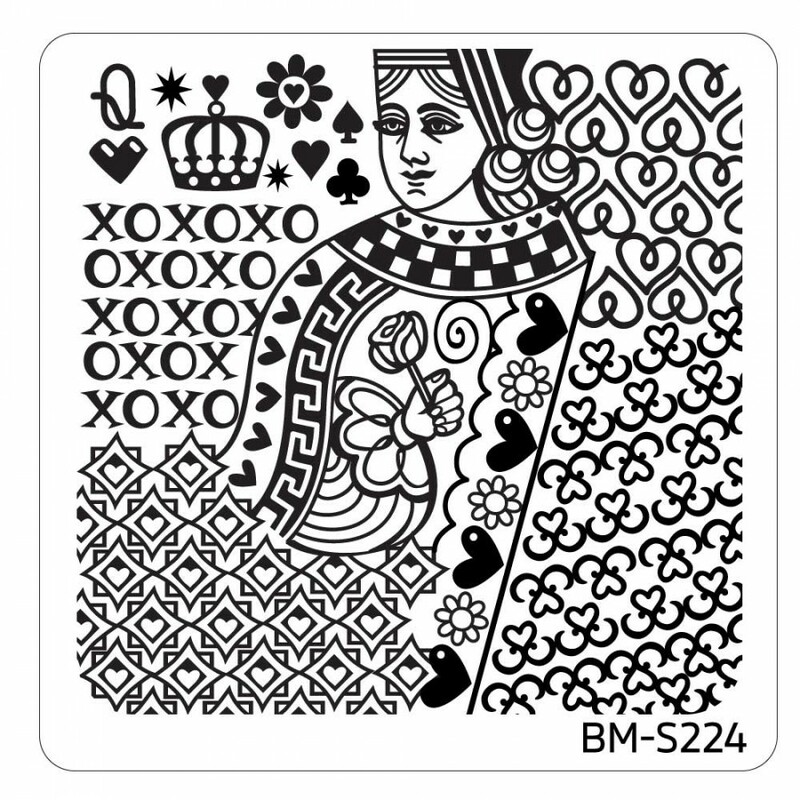 It's very close to being a one coater so I am pretty sure that this one will stamp as well. I used two coats for my swatch. 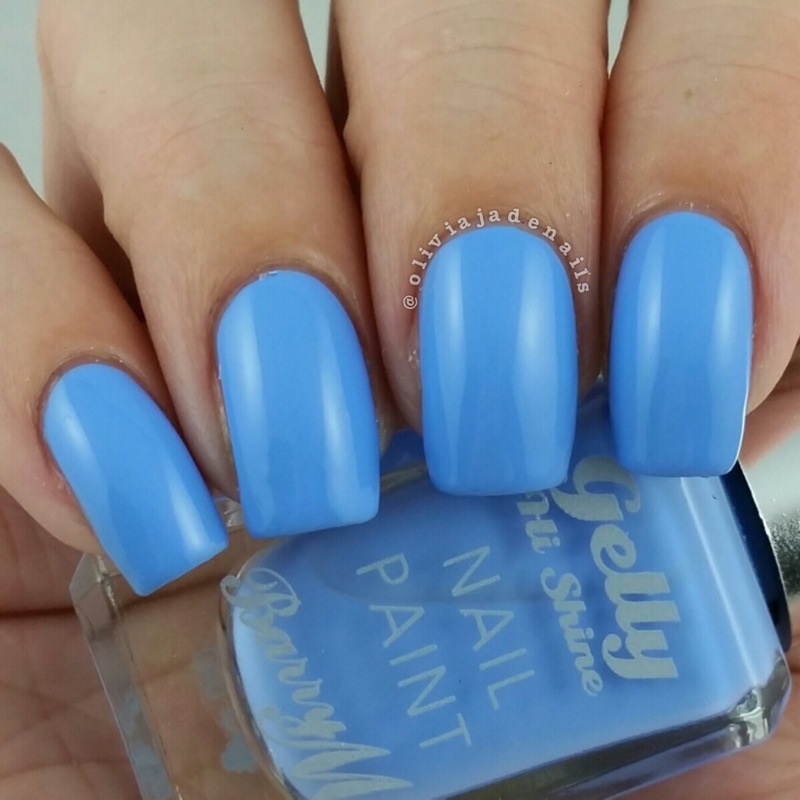 Overall, I am really impressed with the Barry M Gelly polishes. The formulas are easy to work with and the colours are so pretty. I will definitely need to add some more to my collection. 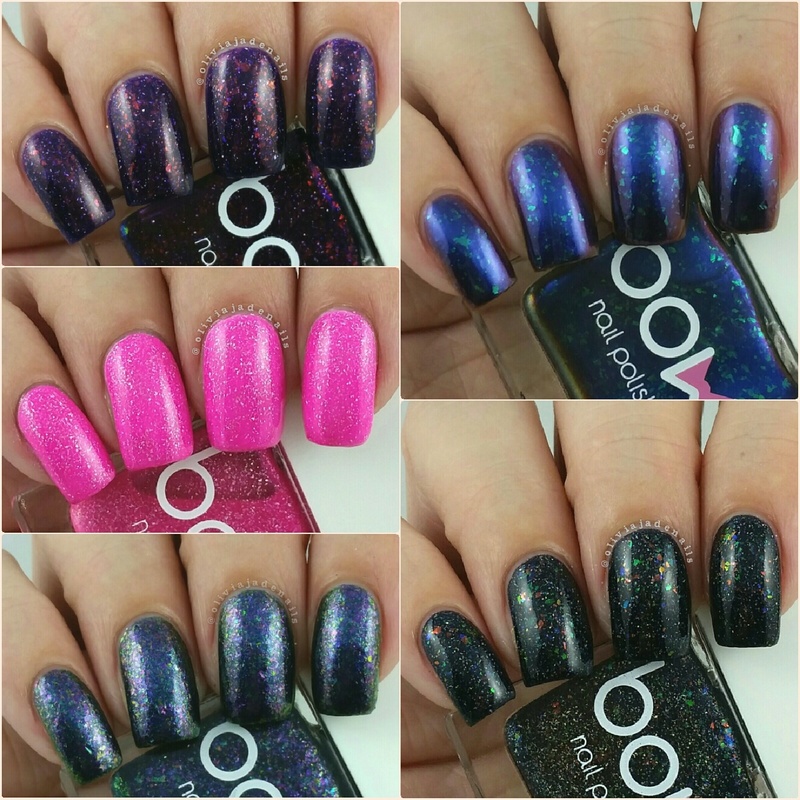 What other Barry M polishes have you tried that you think I may like? I am keen to try more. 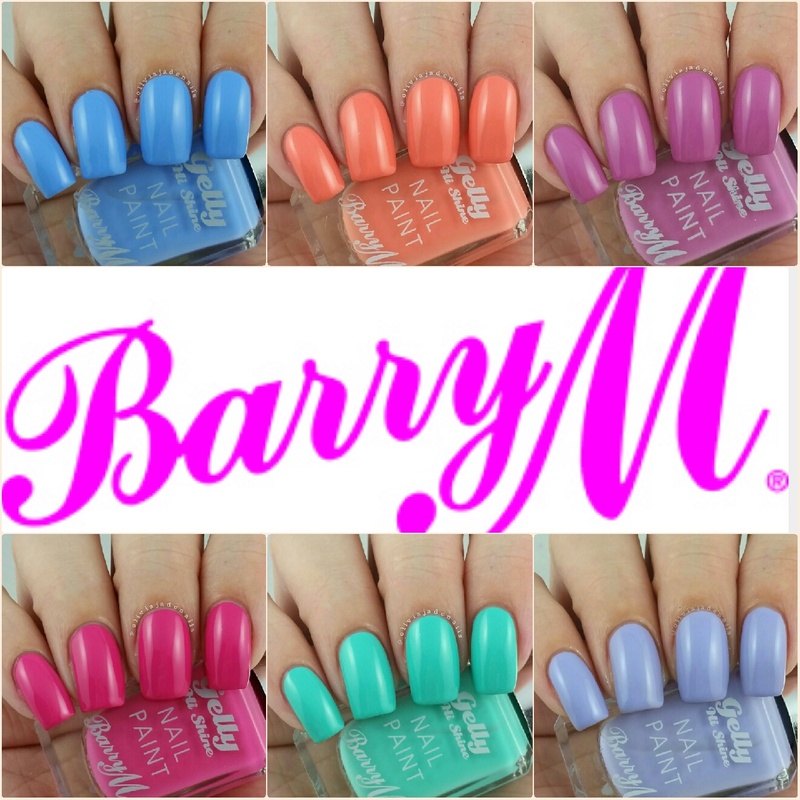 Barry M polishes as far as I am aware are only available in Australia in Big W stores. 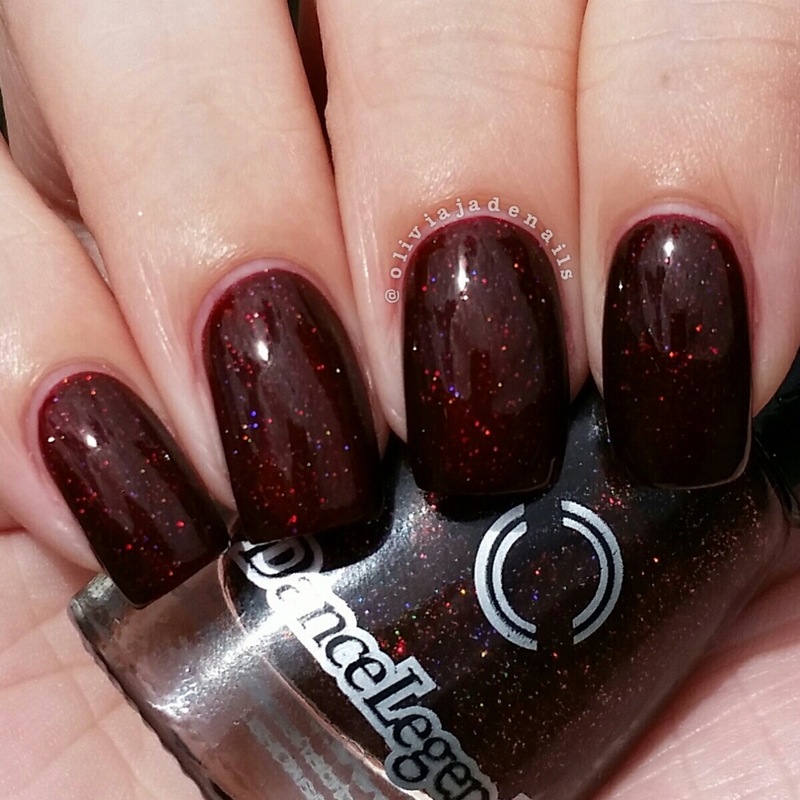 Today I have five Bow polishes from Dance Legend to share with you. There are a lot of Bow polishes and I had such a tough time narrowing my choices down to five. 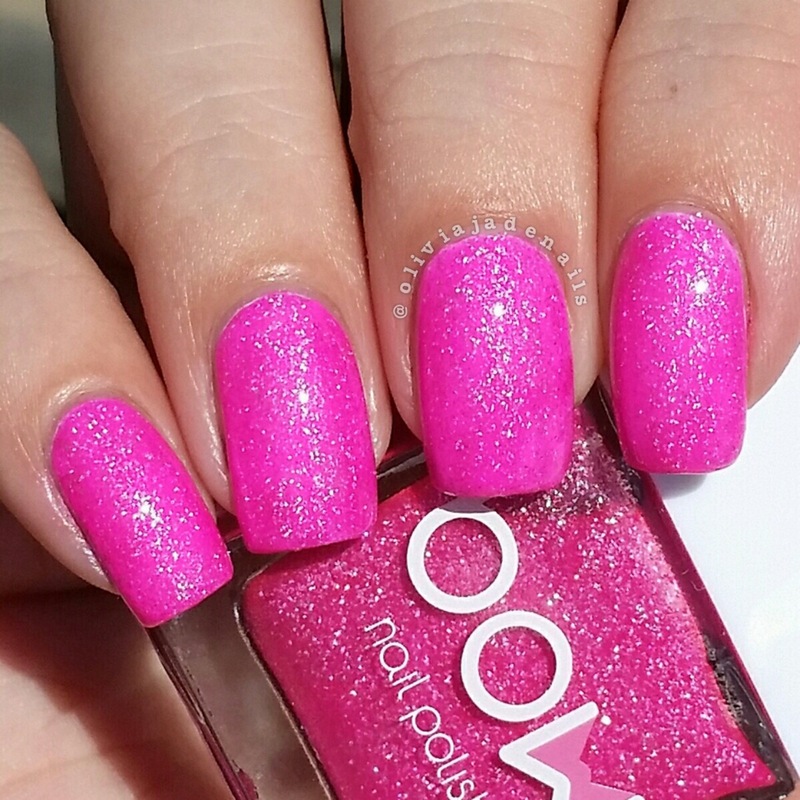 In the end I picked one polish from the NeoNation Collection (because seriously how could I pass up a neon polish?) and the other four are from the Out Of Space Collection. Doll Everyone is a neon pink with holographic glitters. 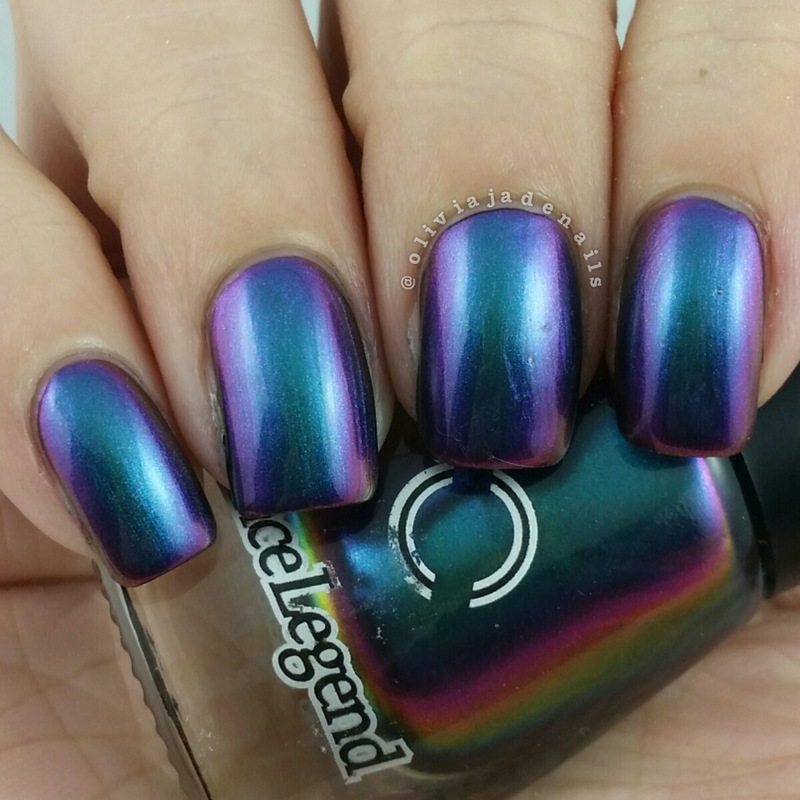 Super pretty colour and I love that it has the holo in it. The formula is a little sheer and applies unevenly. I used two coats over a white base as I think this polish would need four coats to be opaque. 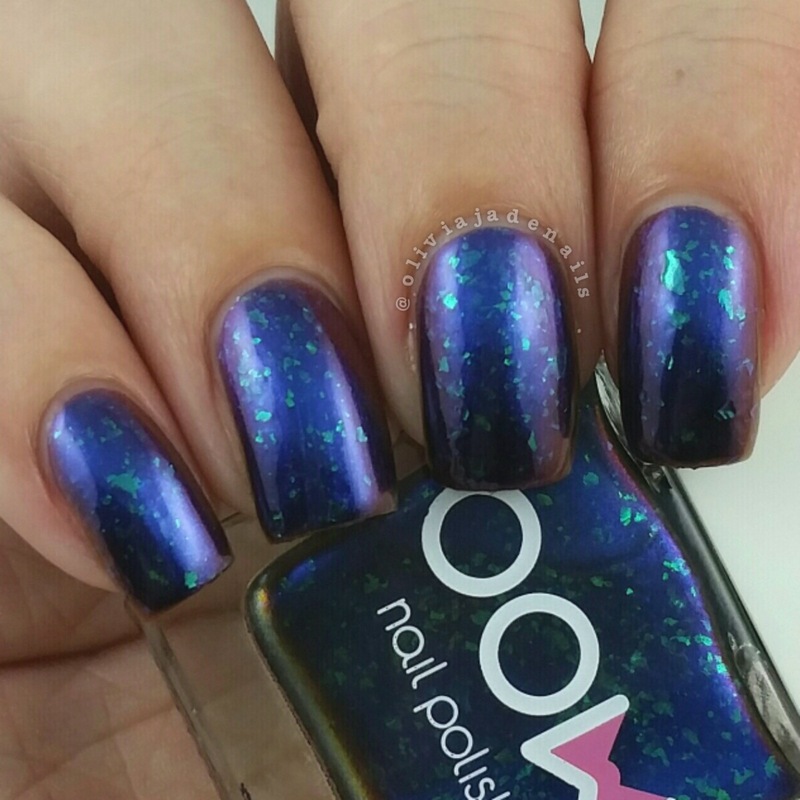 Andromeda is a blue to purple duochrome with green flakies! 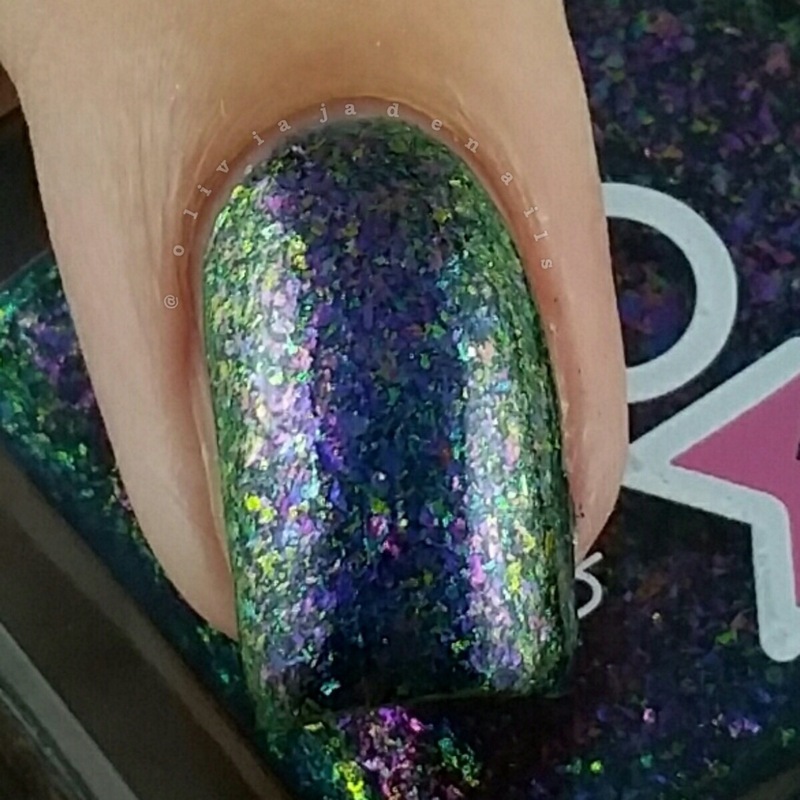 That's right, a duochrome with flakies. Now that is true love in my books. 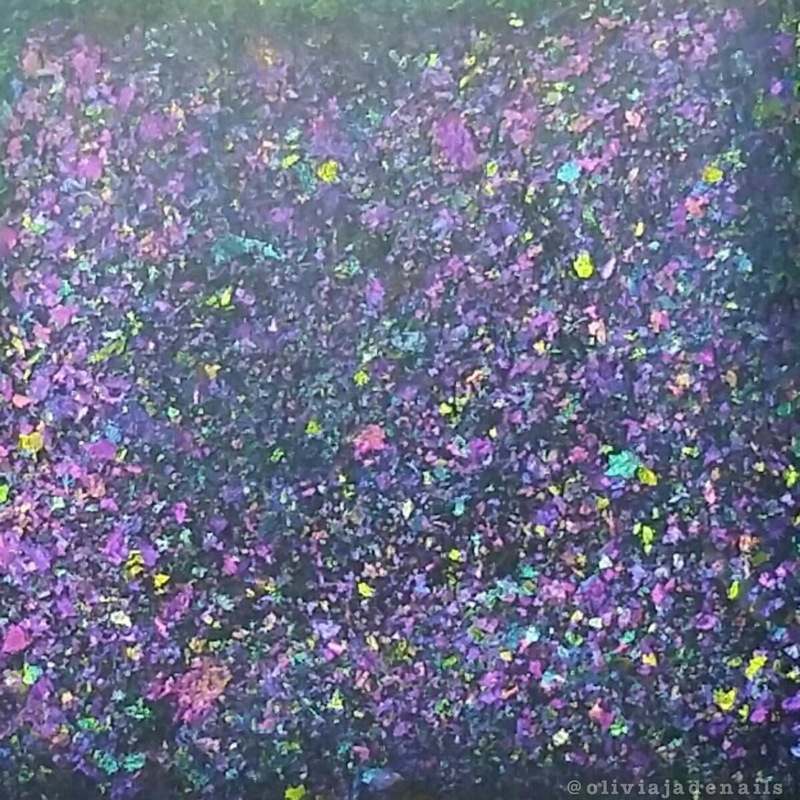 The colour shifts really well in this one (in fact you can see additional colours which I just couldn't capture on camera), but the formula I found was a little tricky to work with. On the first coat is applied really uneven and drag the polish off really easily. It did even out and become opaque after three coats which is what my pictures show. 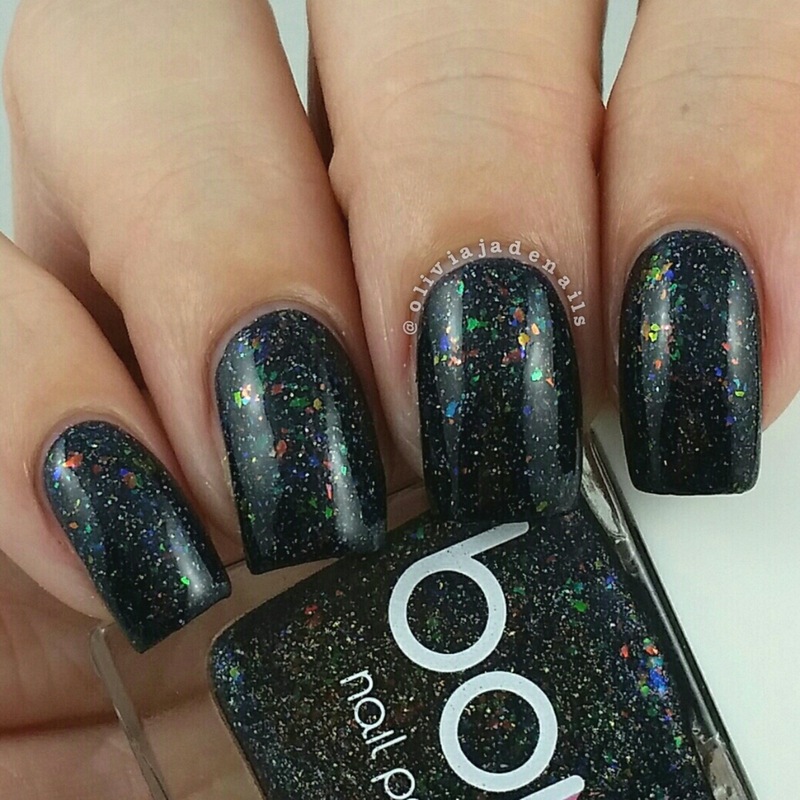 Dark Days is a black base jelly with multichrome flakies and holo glitter. So pretty. The formula of this one is the same as Andromeda. My swatch shows three coats. 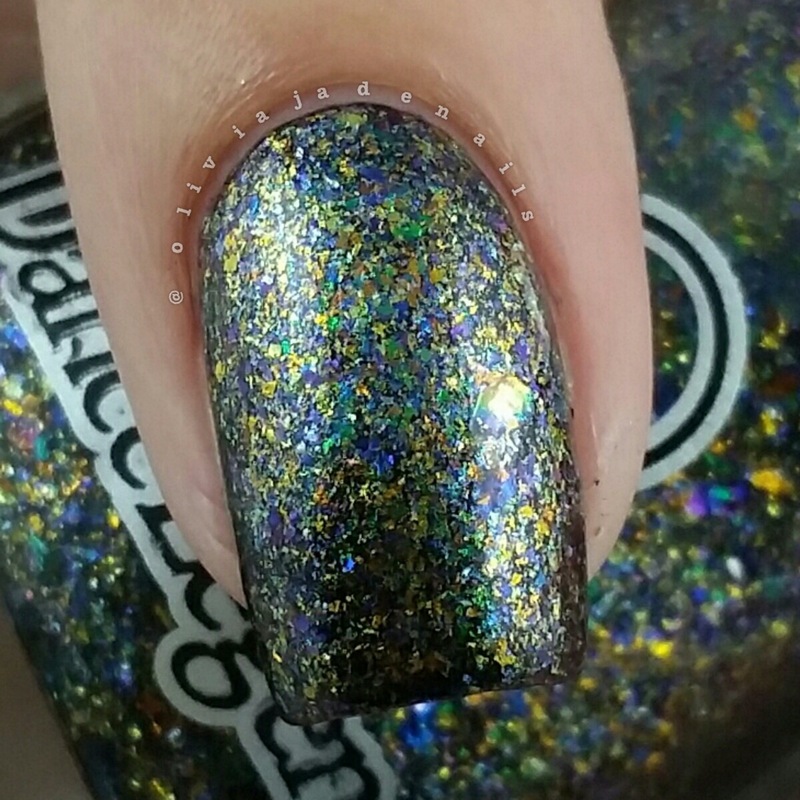 Rings Of Saturn has a green jelly base and is filled with multichrome flakies. 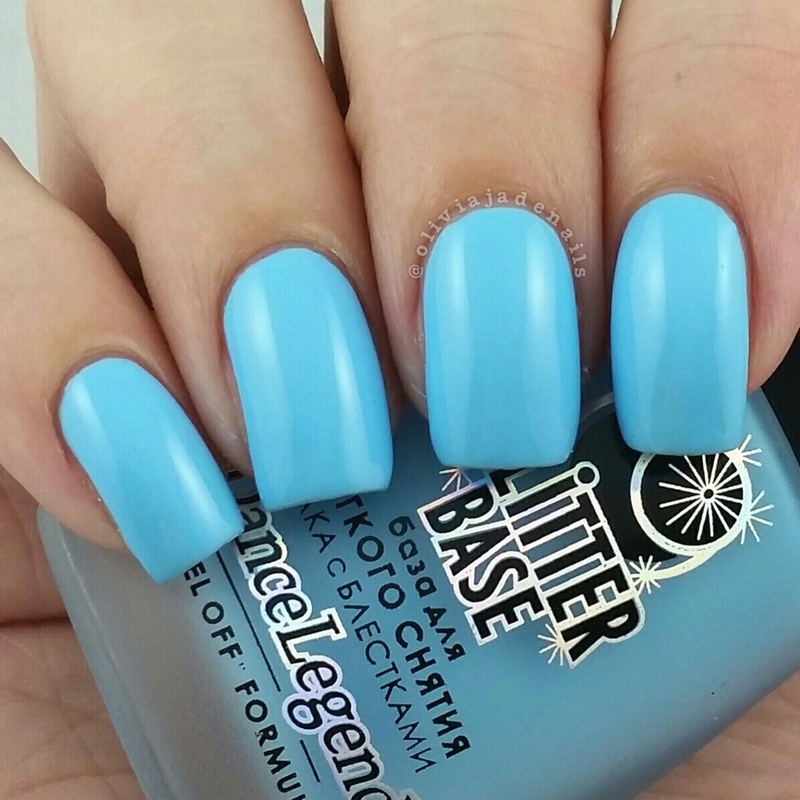 I really like the colour of this one and the formula is easy to use. I used two coats for my swatch. 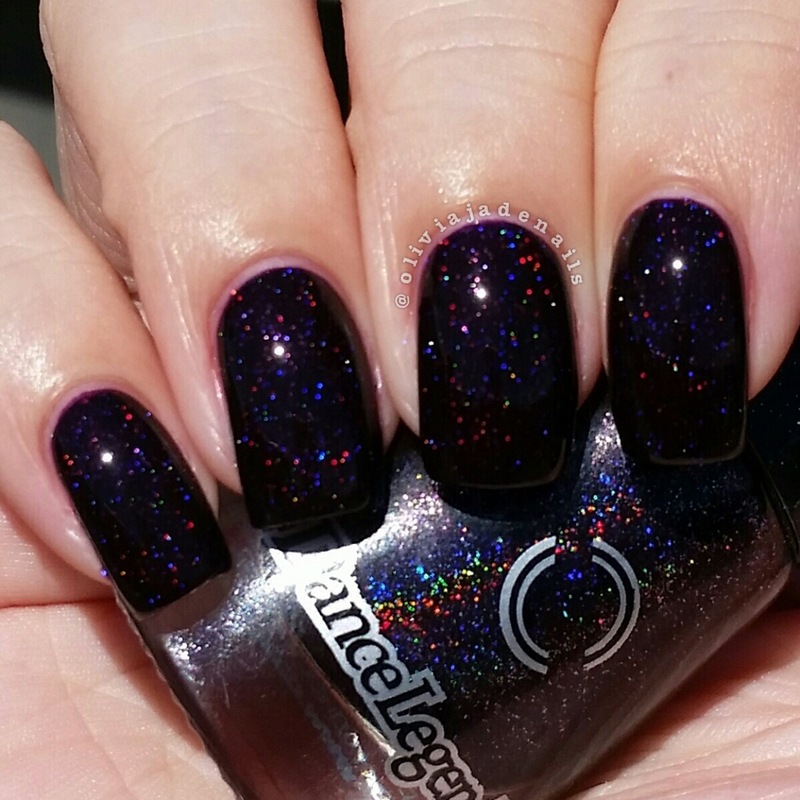 Zodiac is a dark purple jelly with flakies and holo particles. I seriously love this one. The formula wasn't the greatest (it's the same as Andromeda and Dark Days) and it is quite sheer. I used three coats for my swatch and there is still a slight visible nail line in direct light. Overall, I absolutely love these polishes although I am not a huge fan of the formulas. That won't stop me using them again and again. 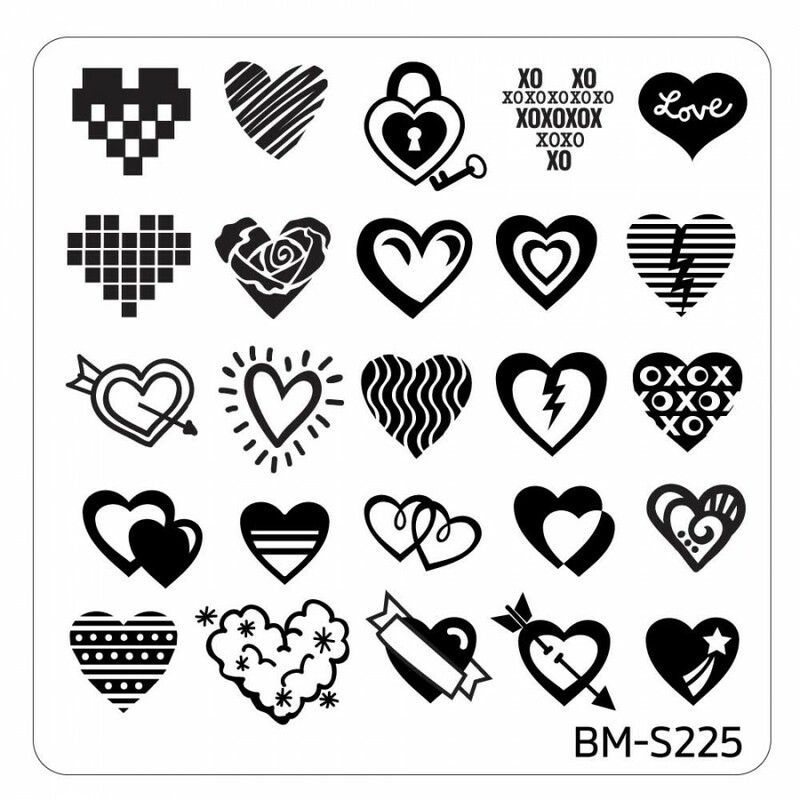 I am happy to forgive a difficult formula providing the end result is awesome, and I love all of these on my nails so that is a win in my books. 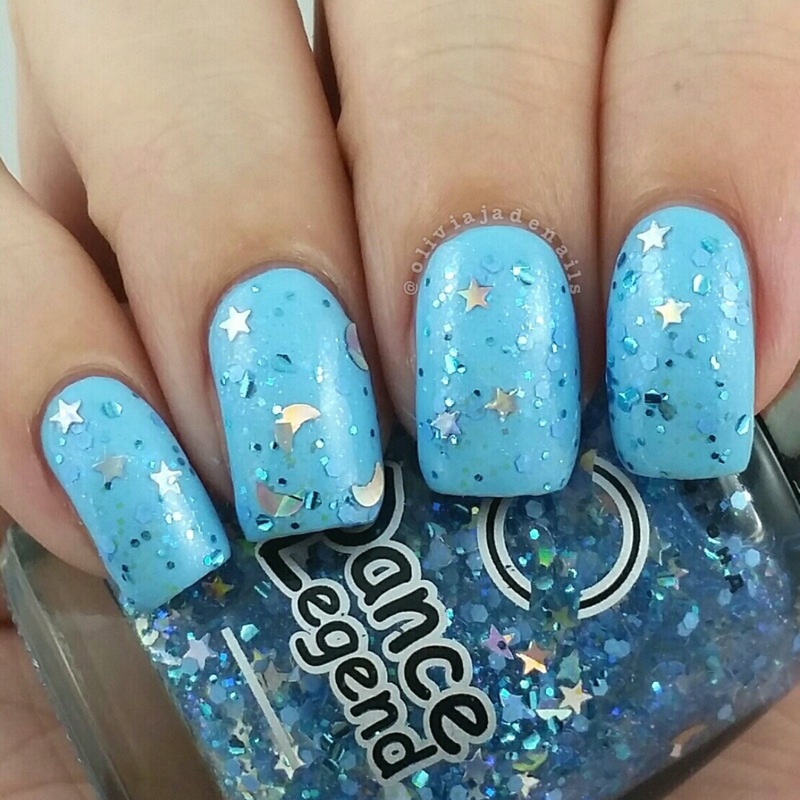 The Bow polishes are available from Dance Legend (with international shipping). 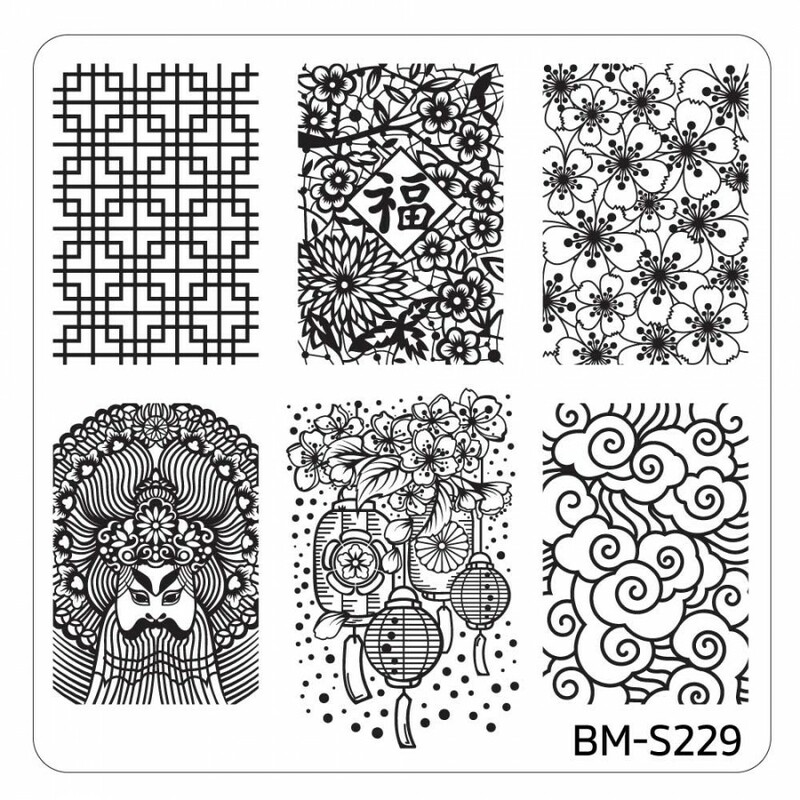 It's been a little while since I have had some new Bundle Monster stamping plates on my blog, but I have some new ones to share with you. Well I say new but the plates that I recently ordered have actually been around for a little while. 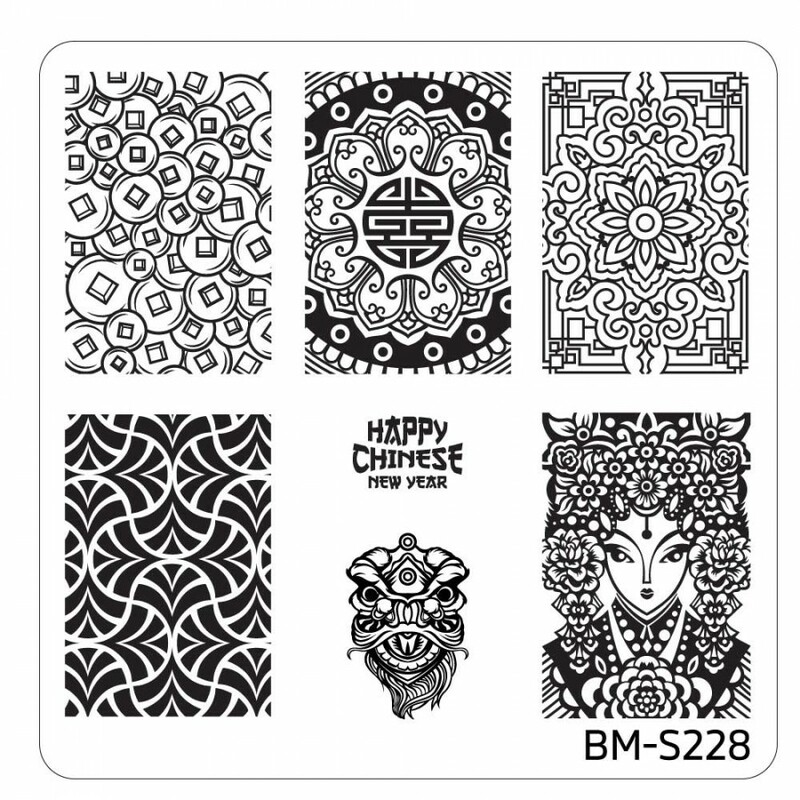 I had been stalking the Bundle Monster site waiting for the both of the Blogger Collaboration sets to both be in stock and it finally happened! I will be swatching and reviewing those soon, but I thought first I would share with you the Special Occasions Spring Time Collection first. 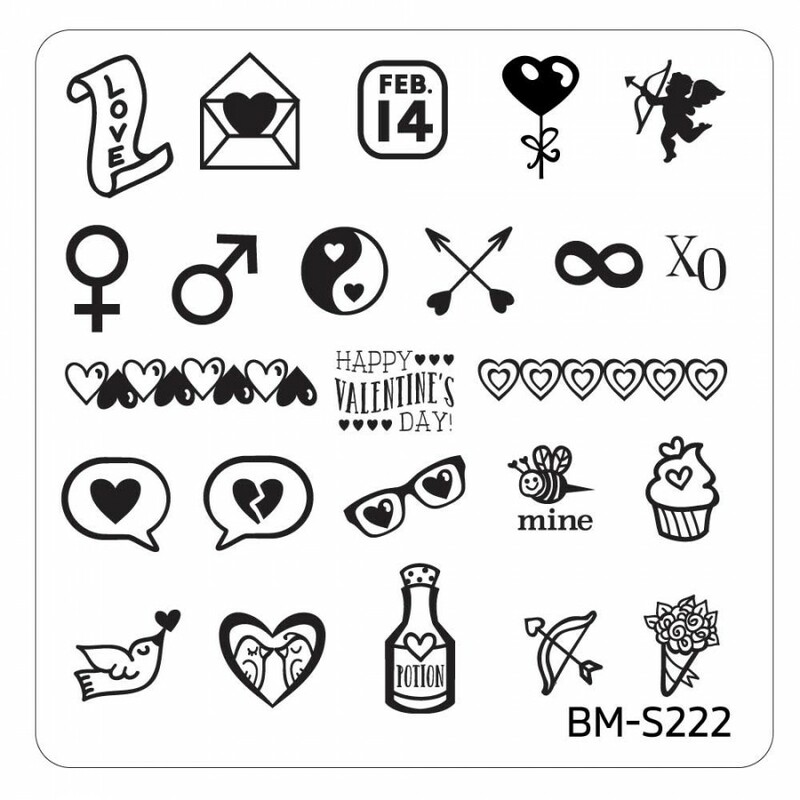 I grabbed these initially because I thought there was some cute designs that I could use for Valentine's nails. 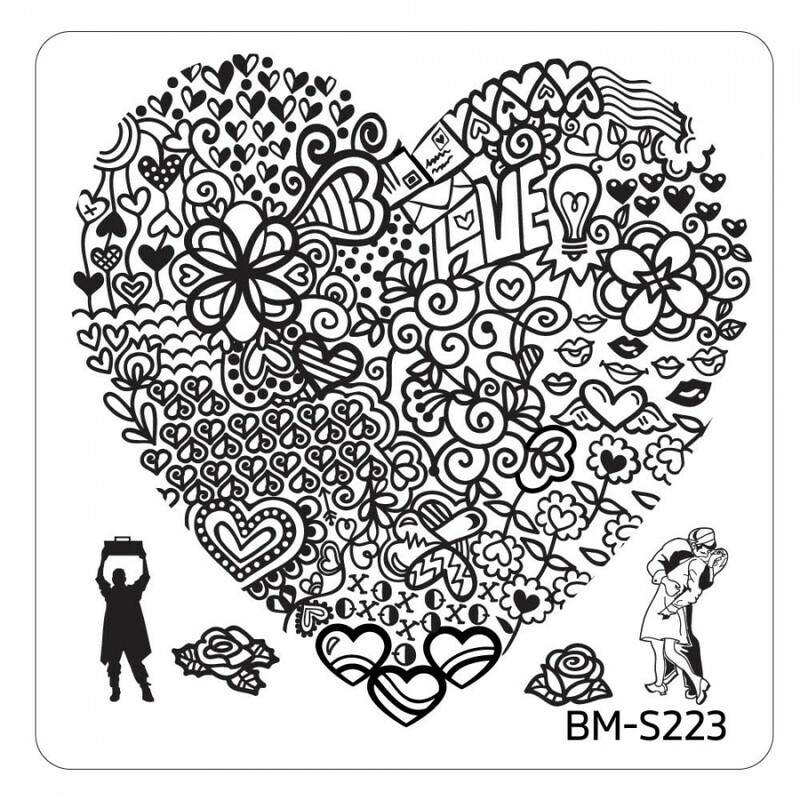 Anyway, these plates have more than Valentine's designs. Let's have a look at them and you can see what I mean. I haven't had the chance to play with the entire collection, however I have played with a number of the plates. 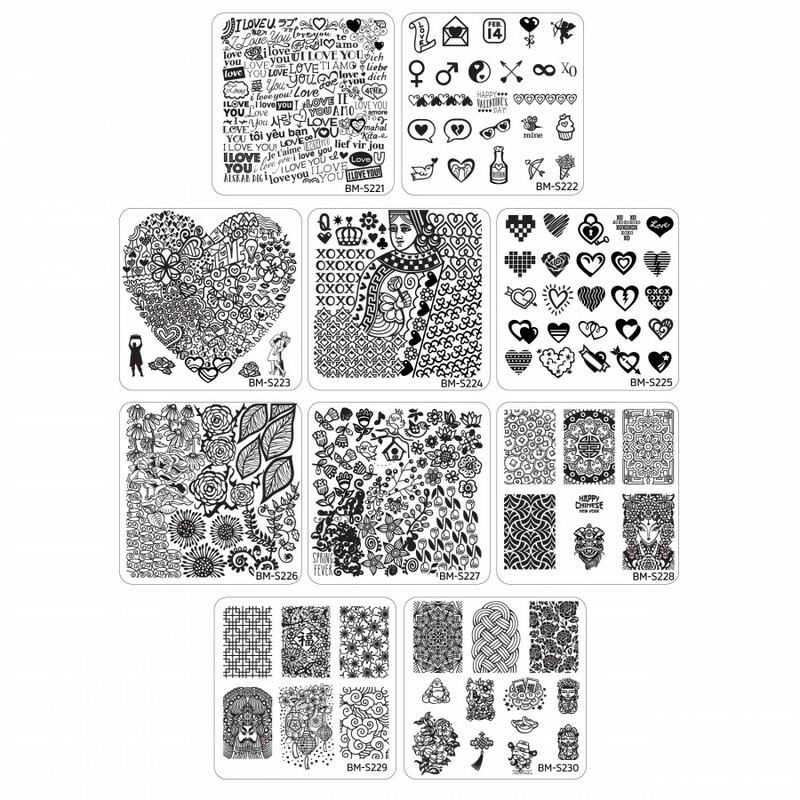 I haven't had any issues with the images picking up or transferring on to my nails which is great and I quite like a lot of the designs that are in this collection. 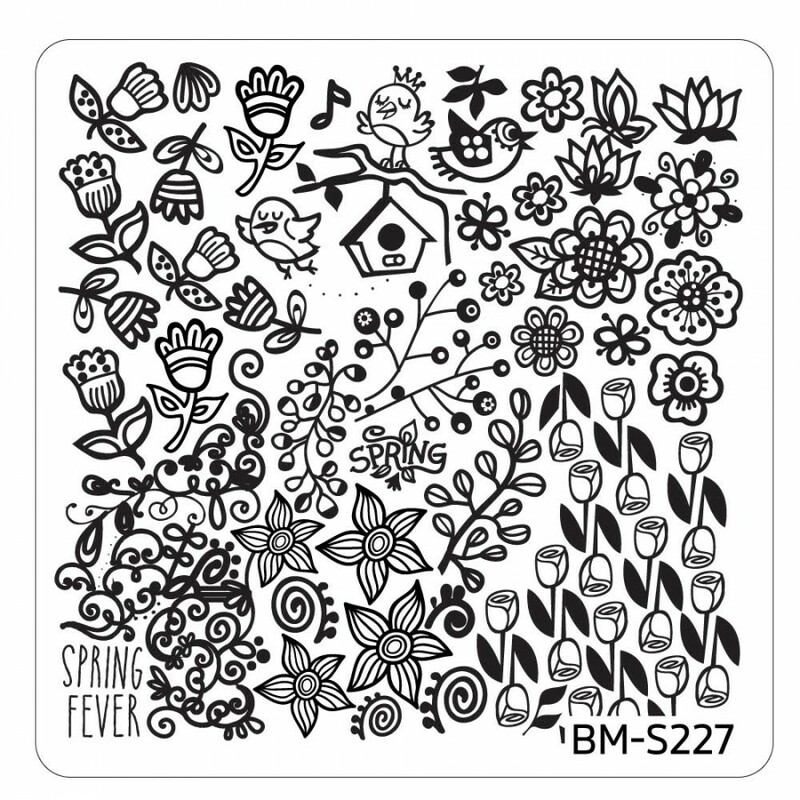 The Special Occasions Spring Time plates are available from Bundle Monster and are sold as a set or you can just buy the plates individually.